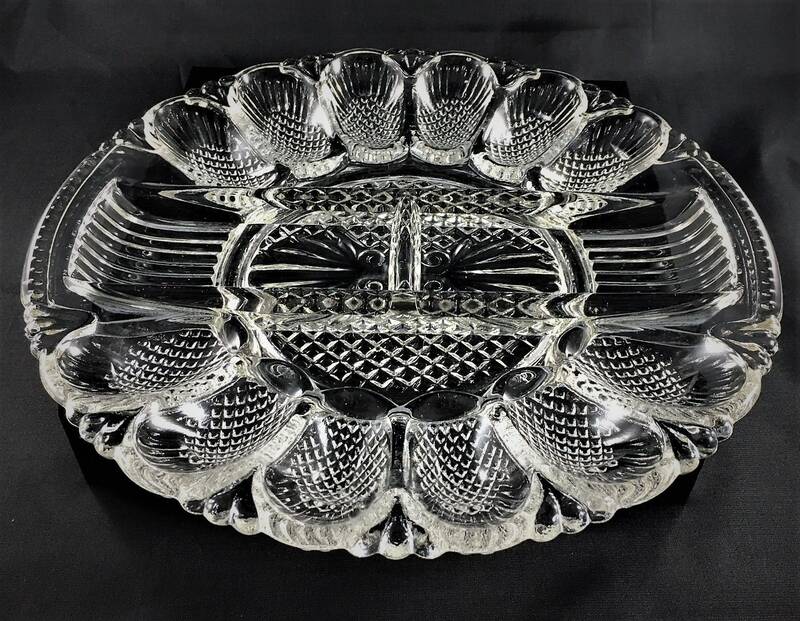 Featured is a vintage L. E. Smith Heritage Clear Glass Deviled Egg Plate and Relish Tray in excellent condition with no chips or cracks. 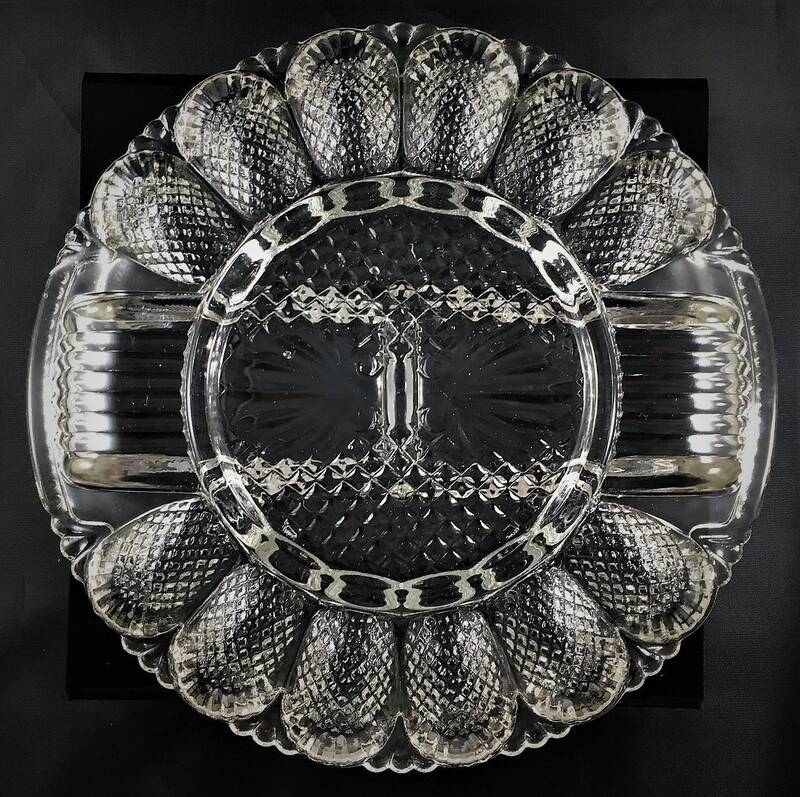 This plate is divided into four sections, two in the center running along the length of the plate and two on either side of the center sections. 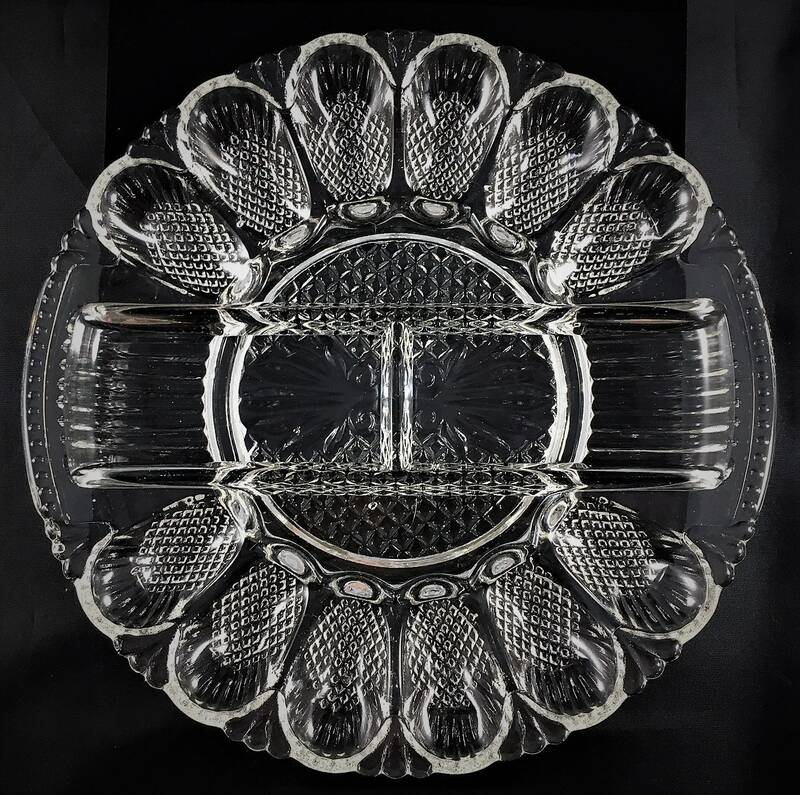 There are several patterns in this plate. 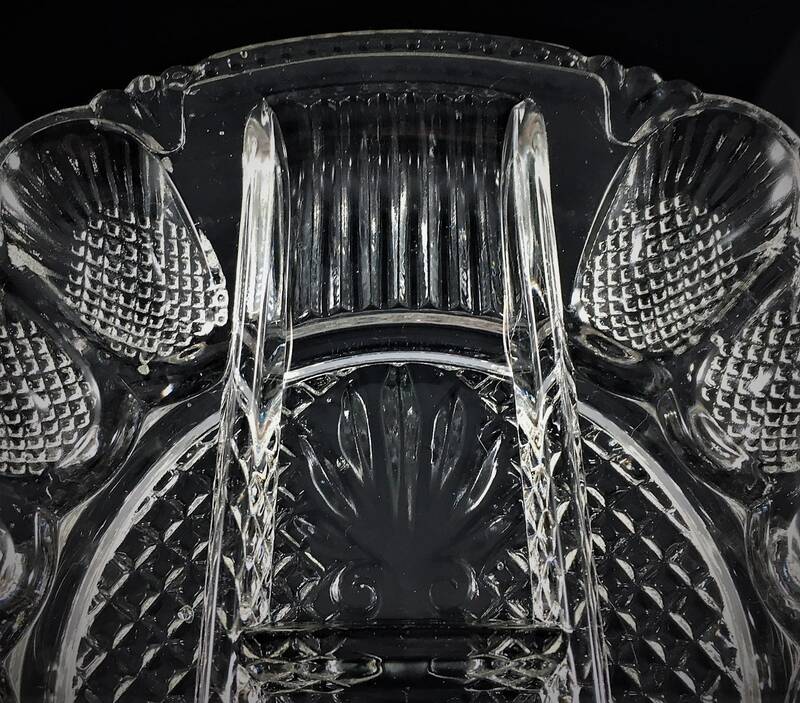 The patterns are; hobnail beads around the rim, ribs along the outside edges of the two center sections, a shell pattern on the inside parts of the center sections, the center most area outside of the center sections appears to be a waffle pattern, and finally it looks like each egg depression has a pineapple pattern. Truly a variety pack. This is a great concept by L. E. Smith, very functional as well as visually enticing. 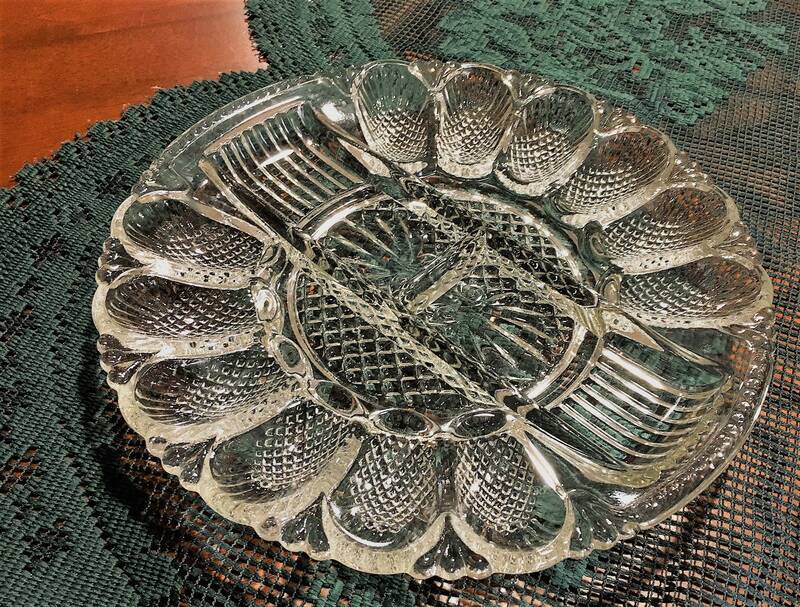 Measures about 11 1/2 inches in diameter.